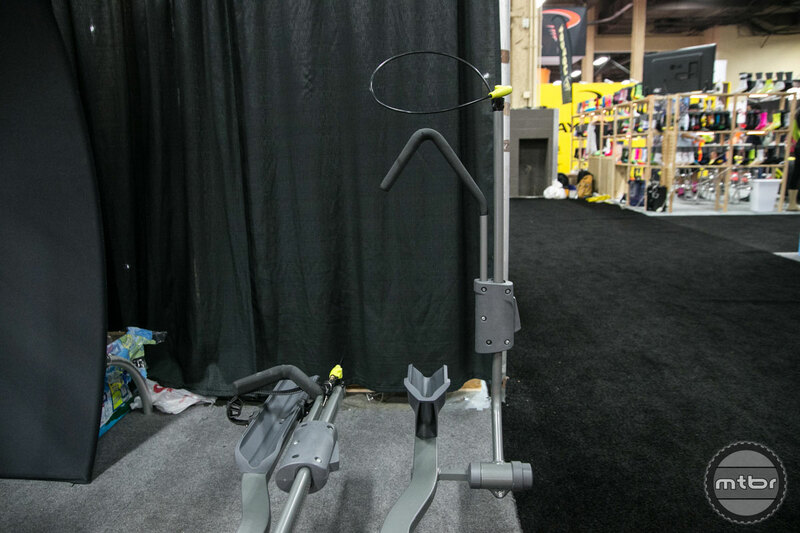 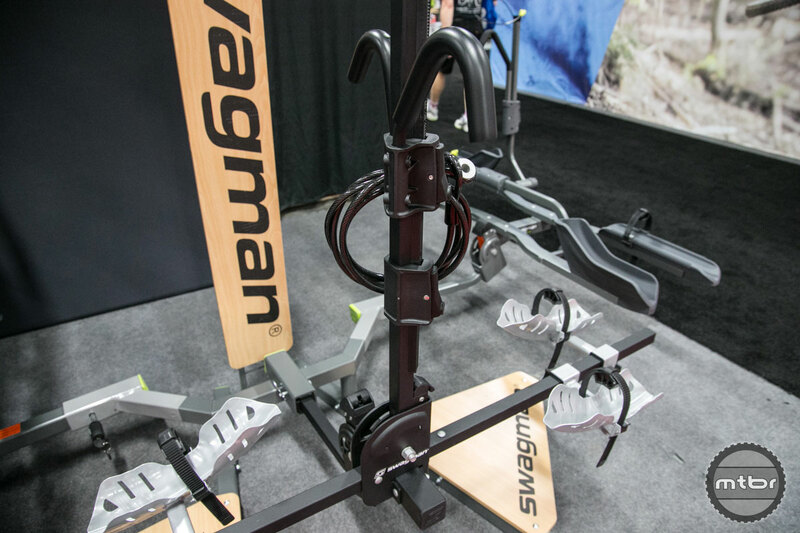 Swagman’s Dave Michael walks us through the features of Skyline, Enforcer, and Patrol racks. 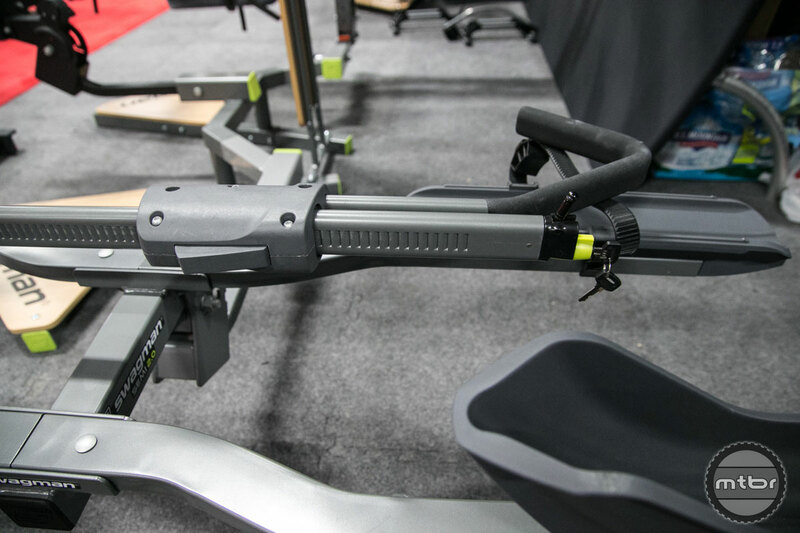 The all new Chinook is also introduced. 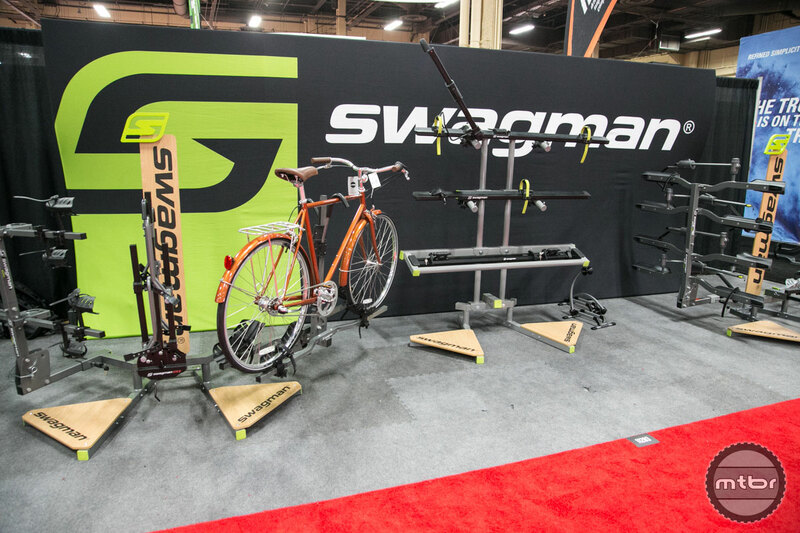 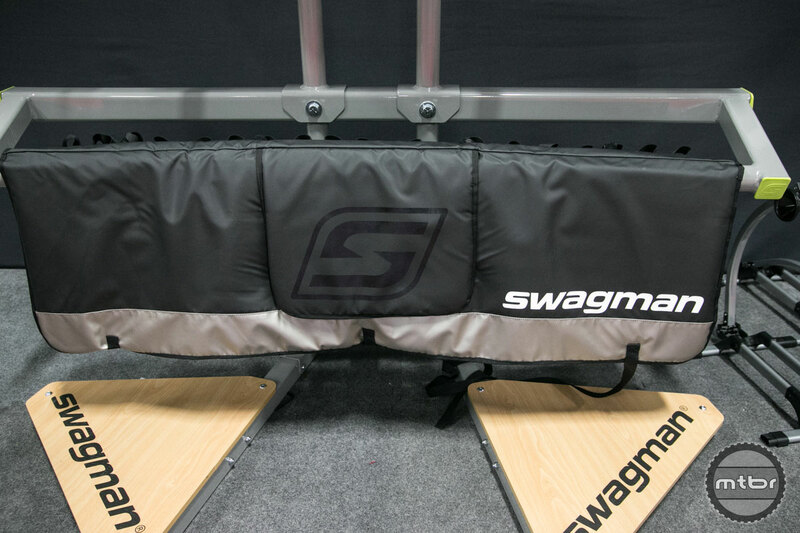 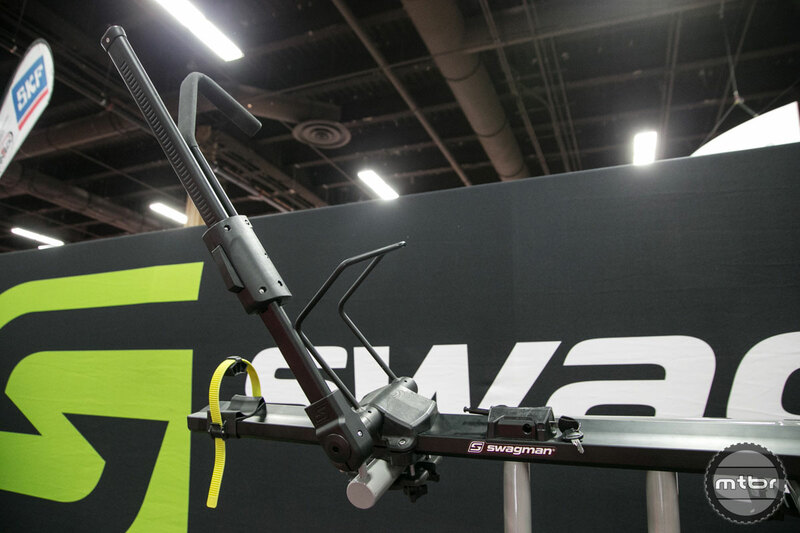 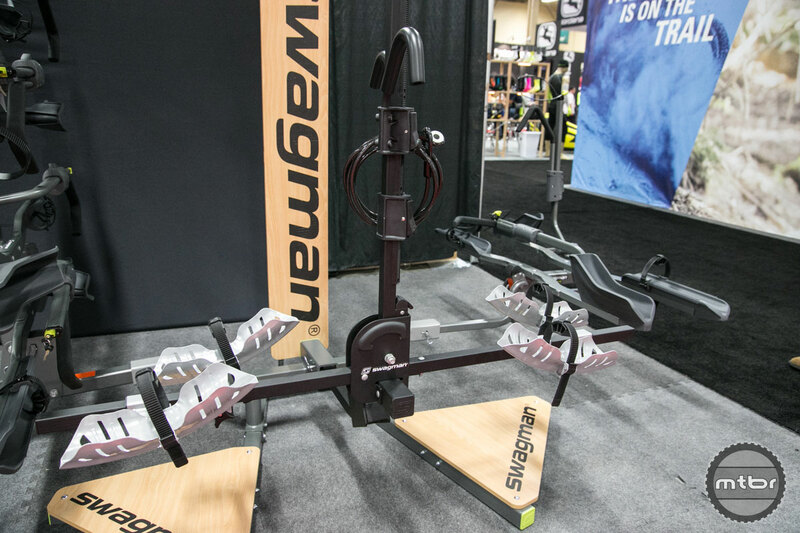 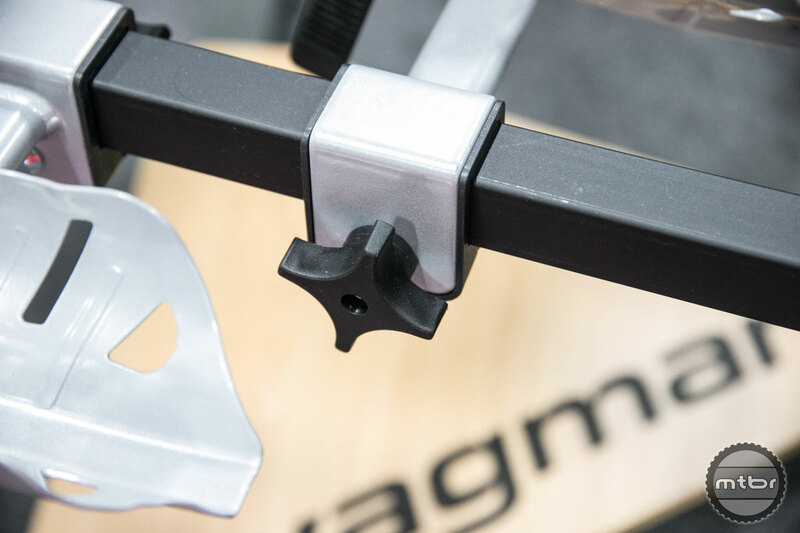 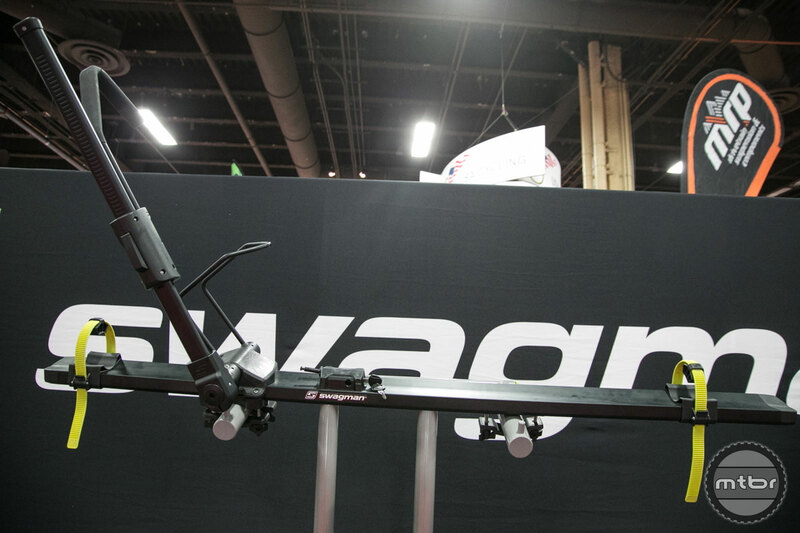 Swagman offers a full line of roof and hitch racks, as well as truck specific options. 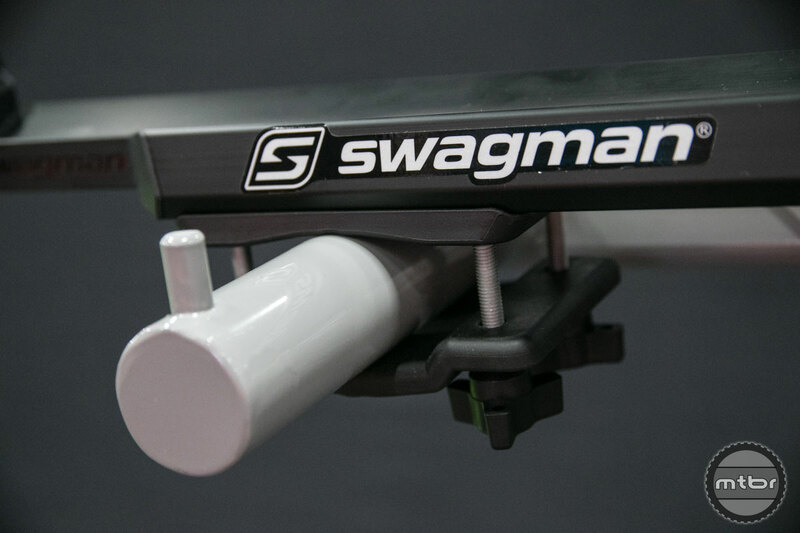 Their Skyline model is a zero contact roof rack that uses a universal mounting system to mount onto any cross bar. 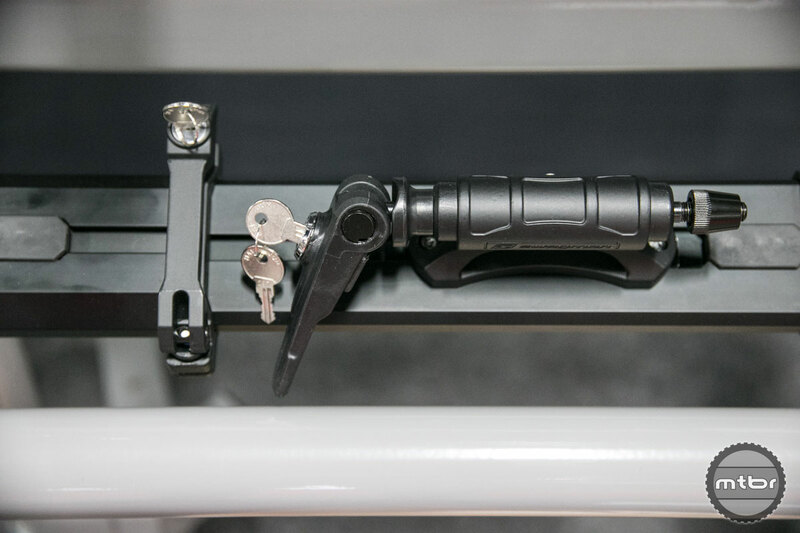 It is compatible with tires up to 5” wide and includes an integrated lock. 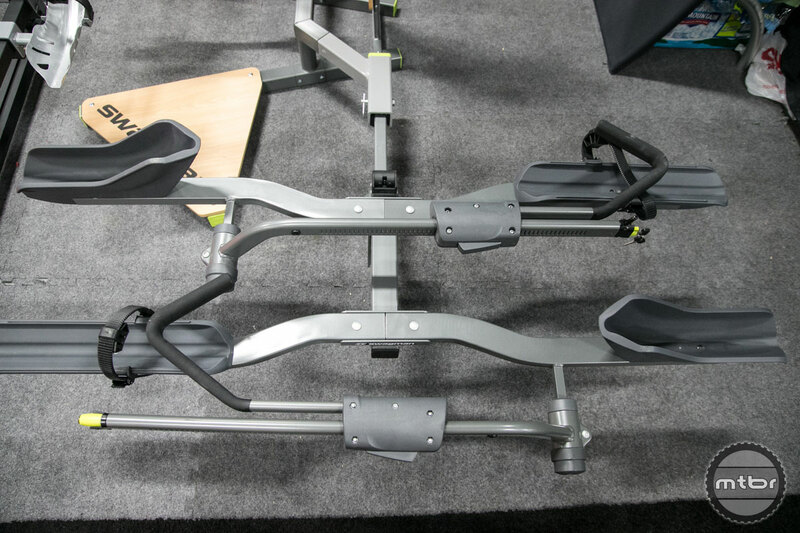 The Enforcer is their thru axle compatible fork down rack. 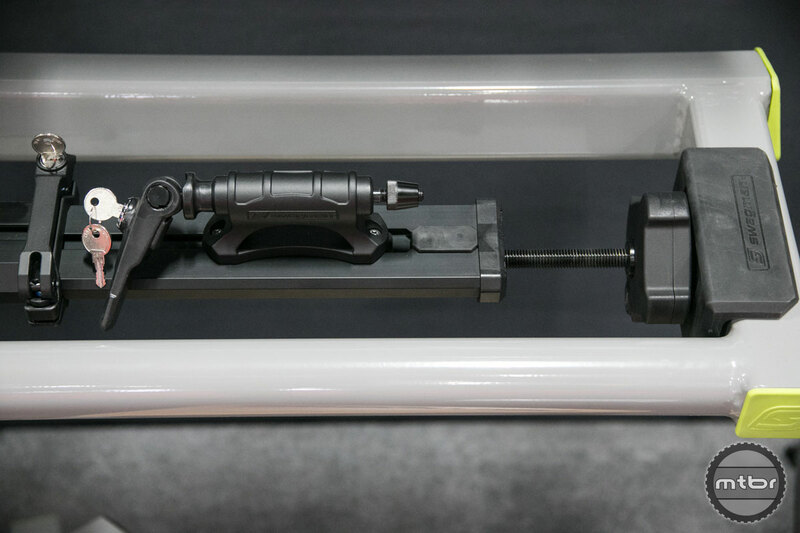 It ships with 9mm and 15mm mounts, but 20mm and 150mm axles are also available online. 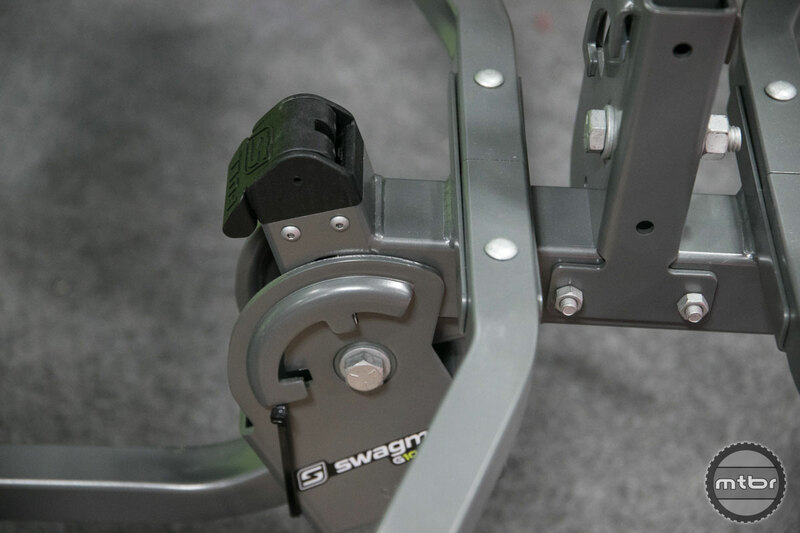 The 150mm wide axle can also be trimmed down to accommodate other standards. 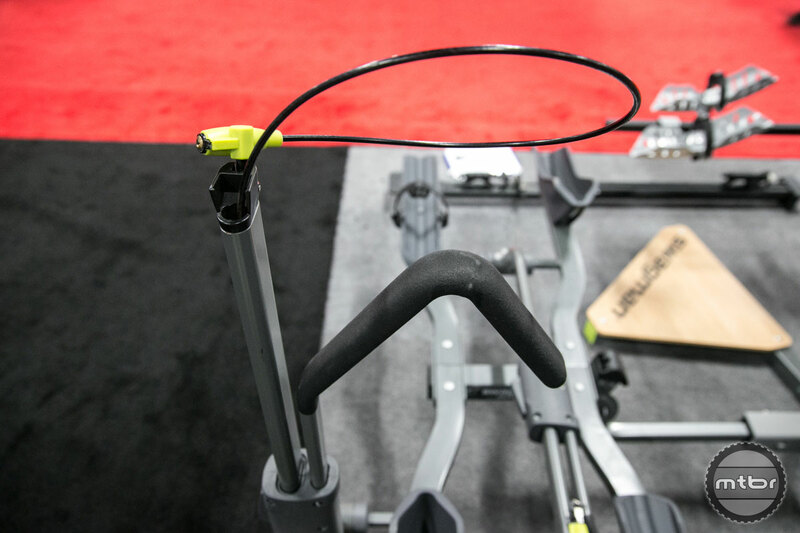 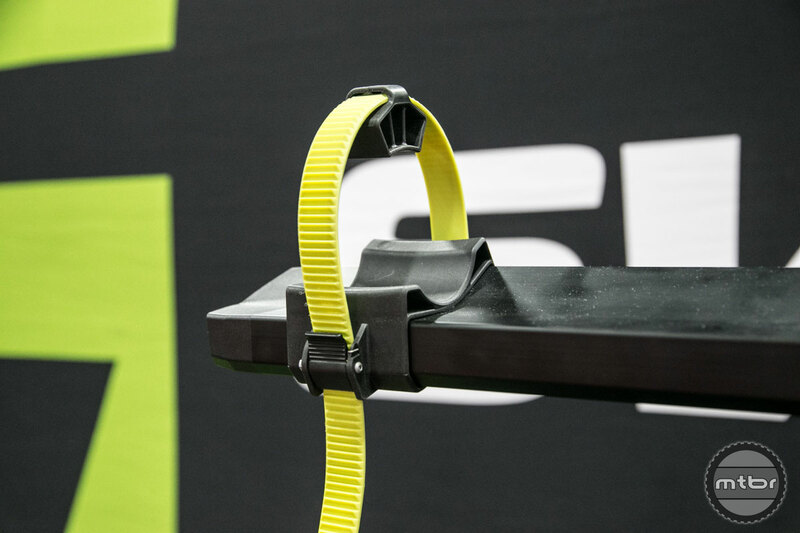 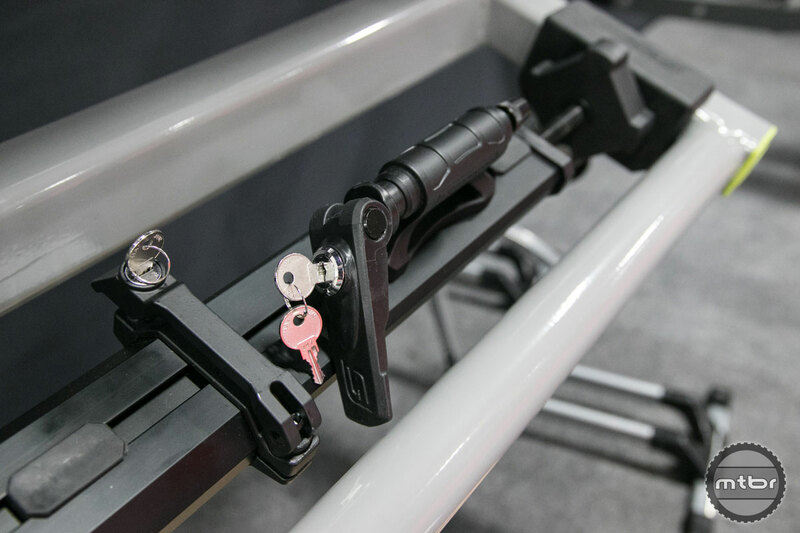 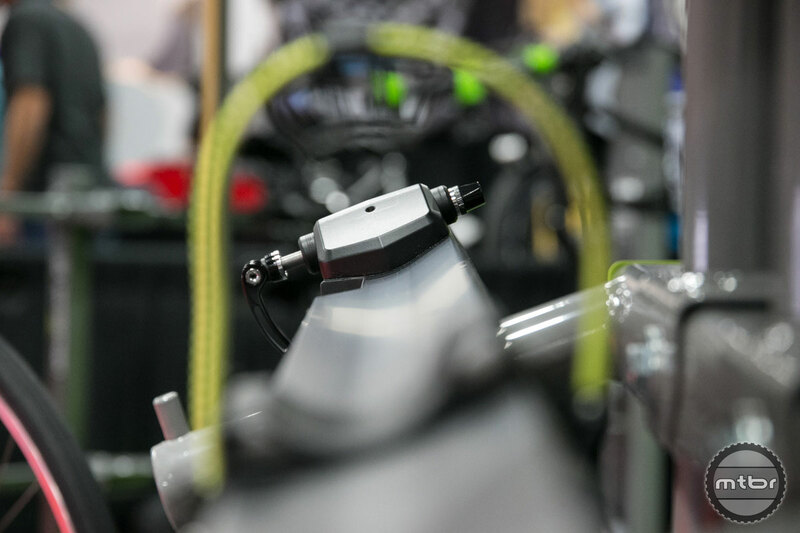 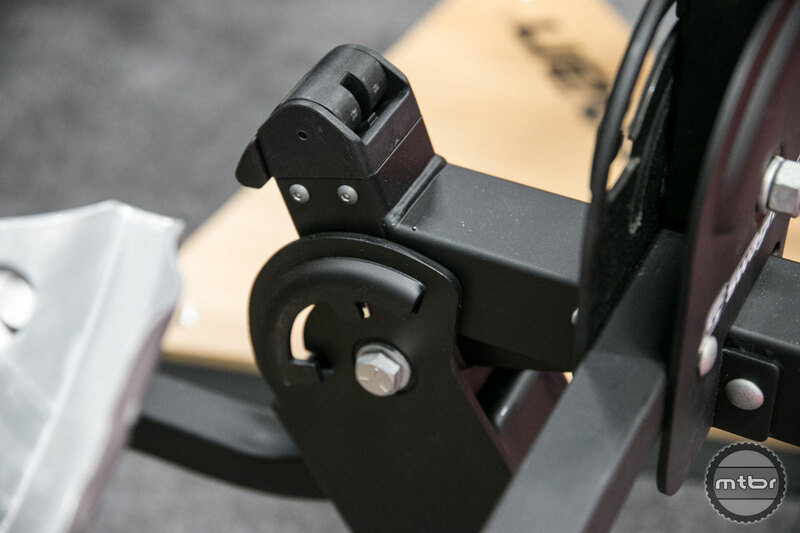 They’ve also launched a new mid price-point hitch rack called the Chinook, that comes with a locking hitch pin and 10mm braided steel security cable. 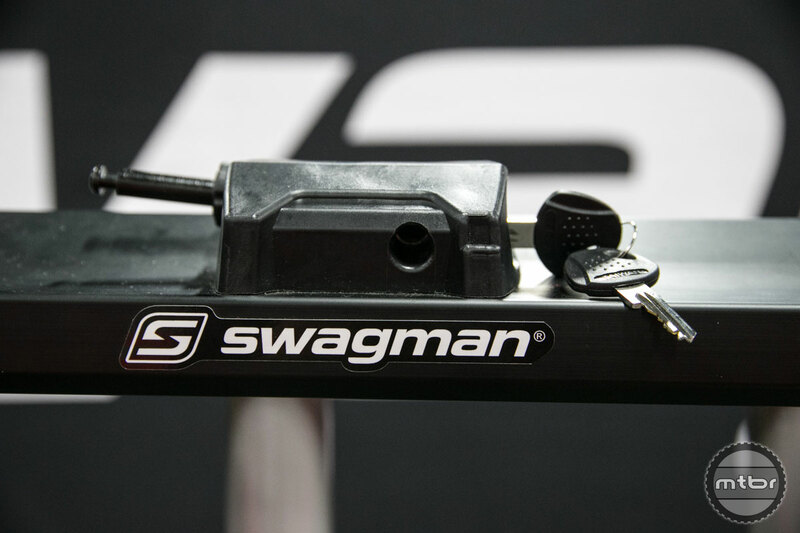 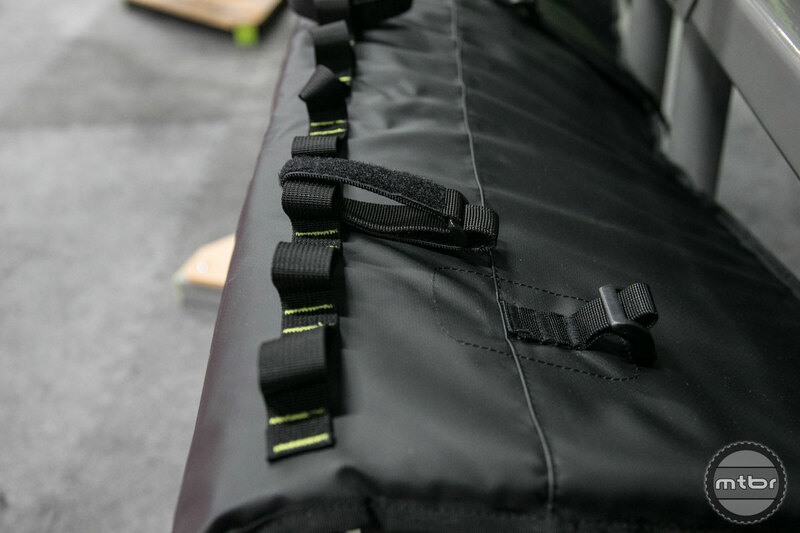 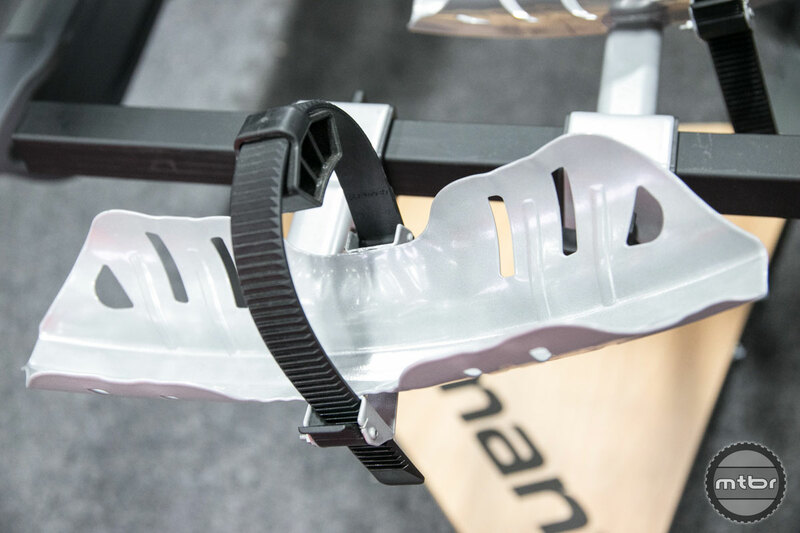 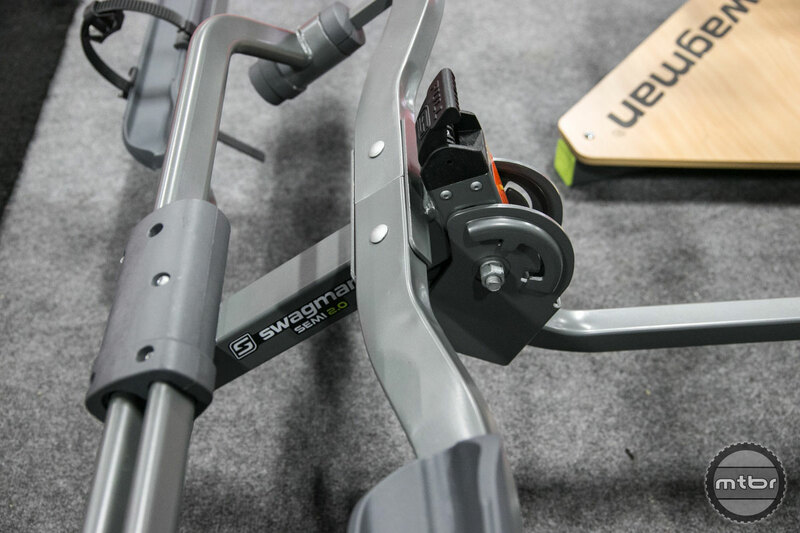 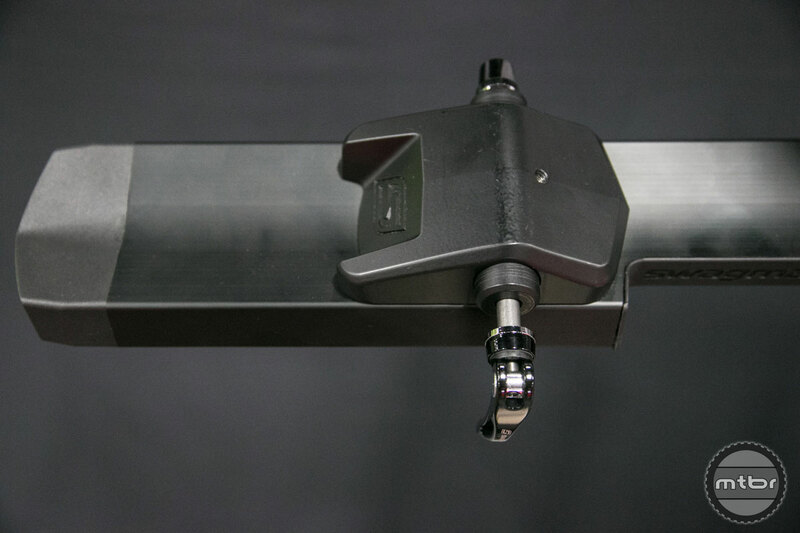 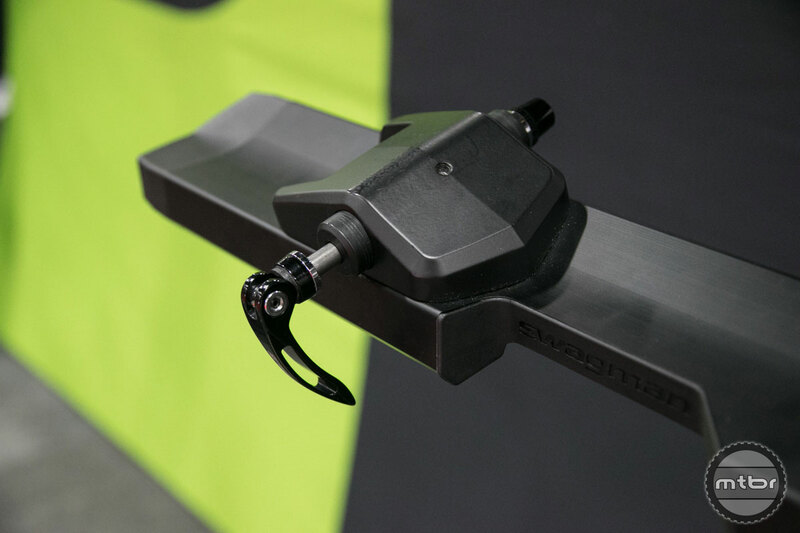 It uses the same high end cam system found on Swagman’s top tier products to fold out of the way when needed. 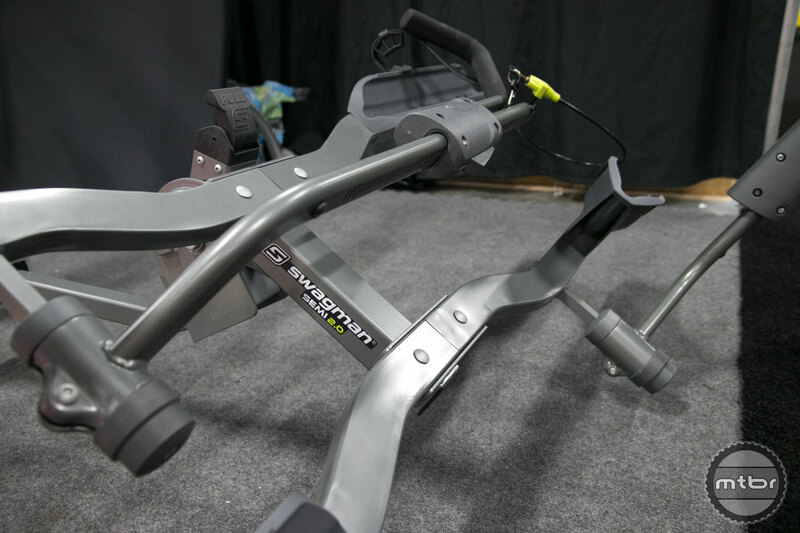 Larger volume steel wheel trays are also available aftermarket for fat bike portage. 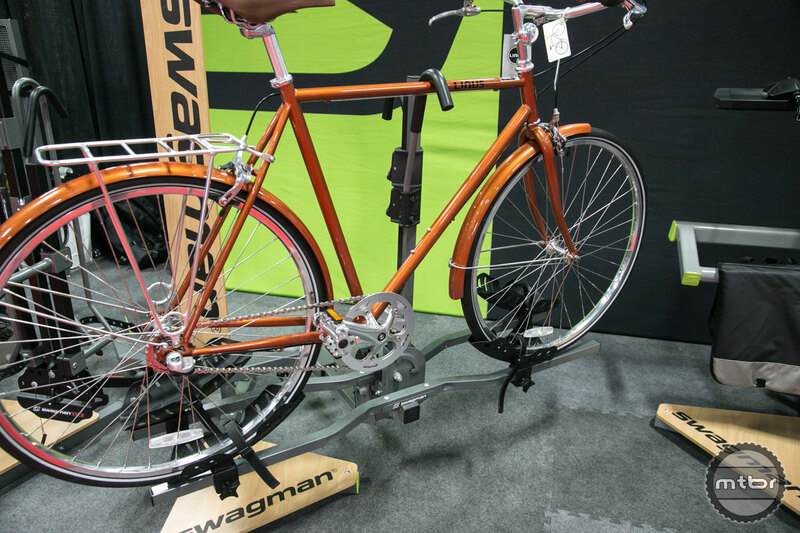 For those with trucks, the Swagman patrol uses a telescoping arm to secure to the bed, and can hold two bikes. 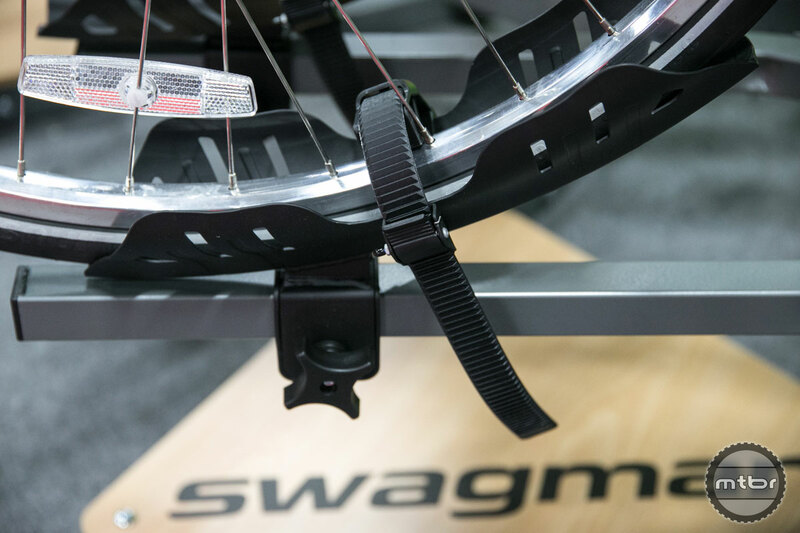 The brand also developed a tailgate pad which uses an integrated daisy chain with velcro lash straps to hold up to five bikes in place. 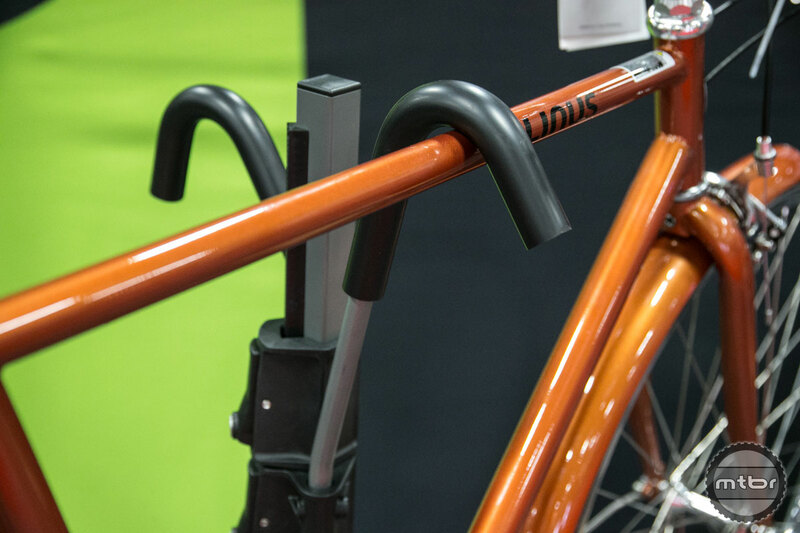 The Chinook comes with a locking hitch pin and 10mm braided steel security cable. 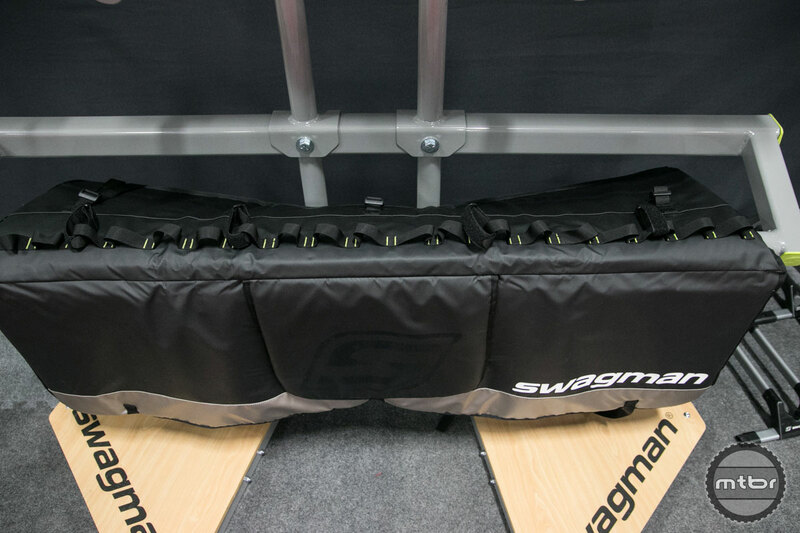 It uses the same high end cam system found on Swagman’s top tier products to fold out of the way when needed. 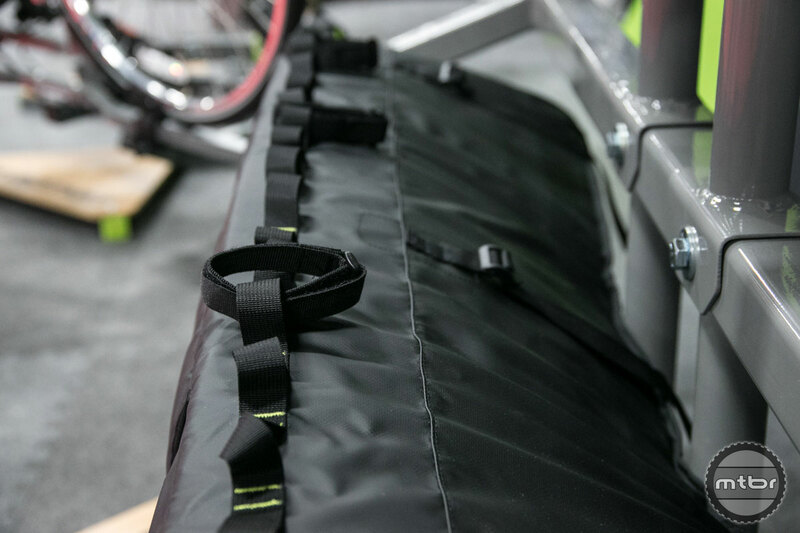 Larger volume steel wheel trays are also available aftermarket for fat bike portage.